15th anniversary of Denim Day at GUESS? Inc. Headquarters on April 23, 2014 in Los Angeles, California. 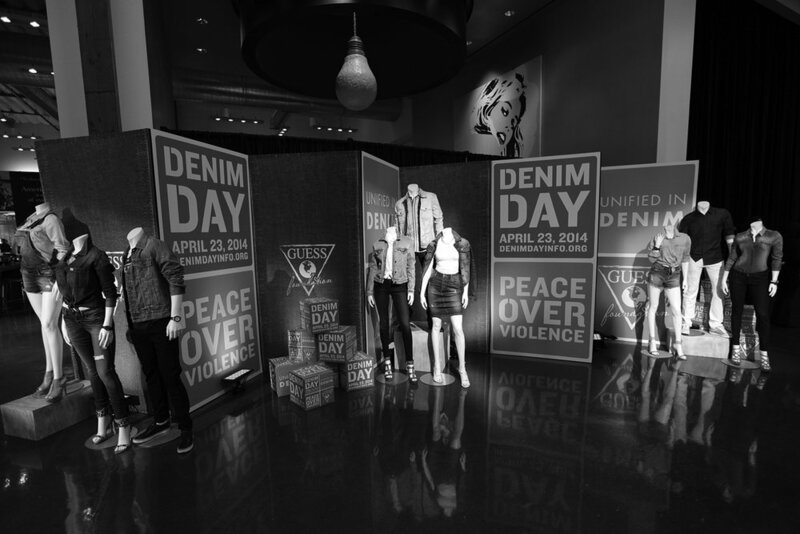 View of the atmosphere at the GUESS and Peace Over Violence celebration of the 15th anniversary of Denim Day at GUESS? Inc. Getting ready for Press Conference. 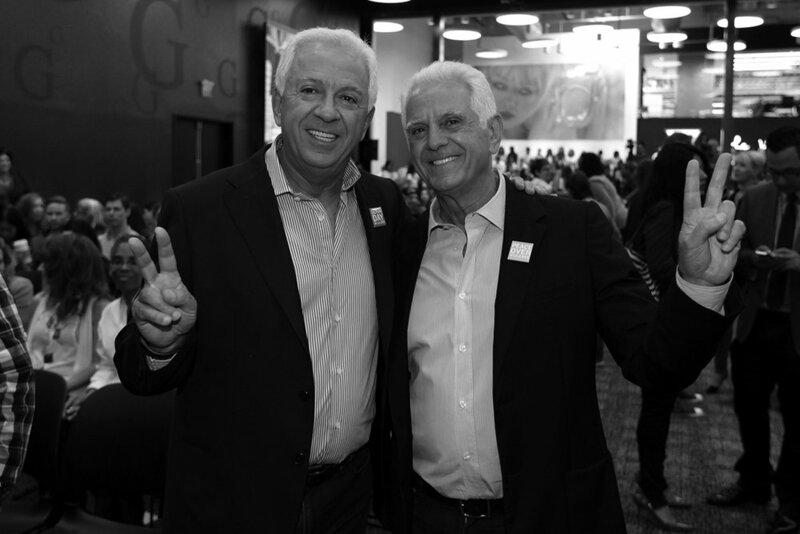 Paul Marciano opening Denim Day 15th anniversary press conference on April 23, 2014 Los Angeles, California. 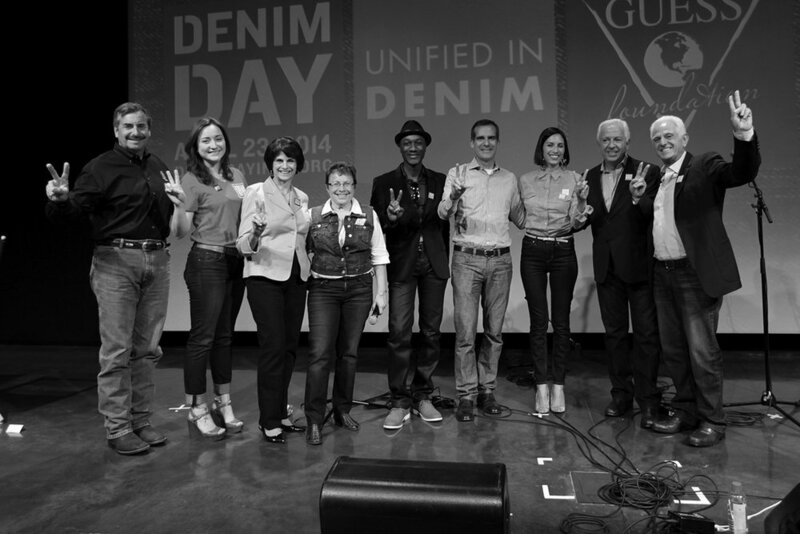 Peace Over Violence 15th anniversary of Denim Day at GUESS? Inc. Headquarters on April 23, 2014 in Los Angeles, California. GUESS? 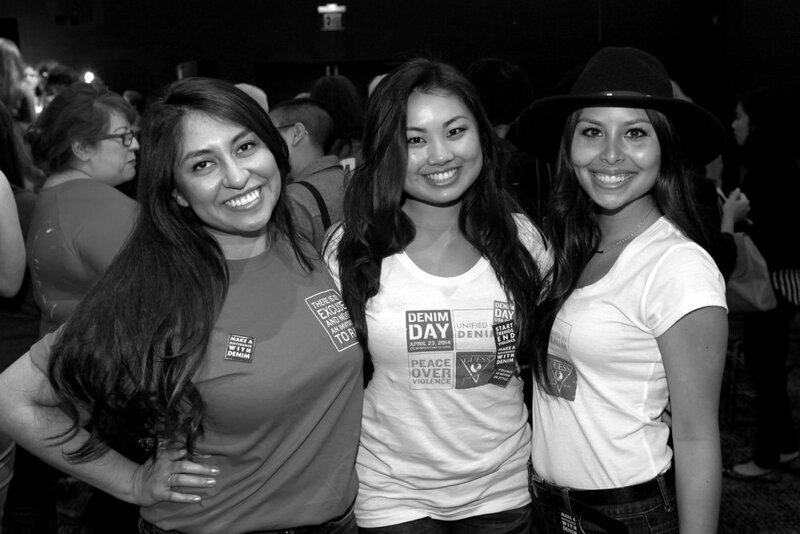 Staff at Peace Over Violence 15th anniversary of Denim Day on April 23, 2014 in Los Angeles, California. 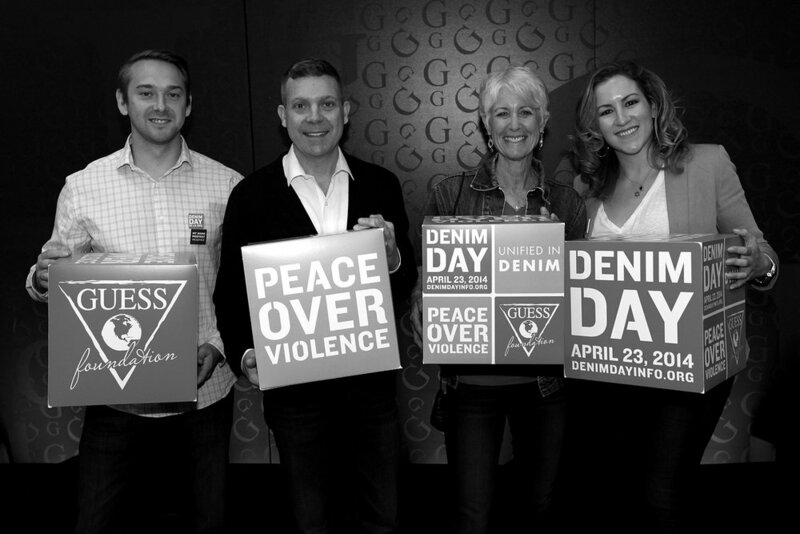 On April 23, 2014 we celebrated the 15th anniversary of Denim Day, our national sexual violence prevention education campaign with a historic press conference at the headquarters of GUESS? Inc., our Official Fashion Sponsor. The press conference featured moving calls to action from GUESS CEOs Paul and Maurice Marciano, Los Angeles Mayor Eric Garcetti, LAPD Chief Charlie Beck, Congresswoman Lucille Roybal Allard, Survivor/Advocate Britni Soto and POV’s Executive Director, Patti Giggans. Denim Day spokespersons, singer/songwriter Aloe Blacc and artivist/emcee Maya Jupiter closed out the event with a special musical performance that had everyone on their feet!